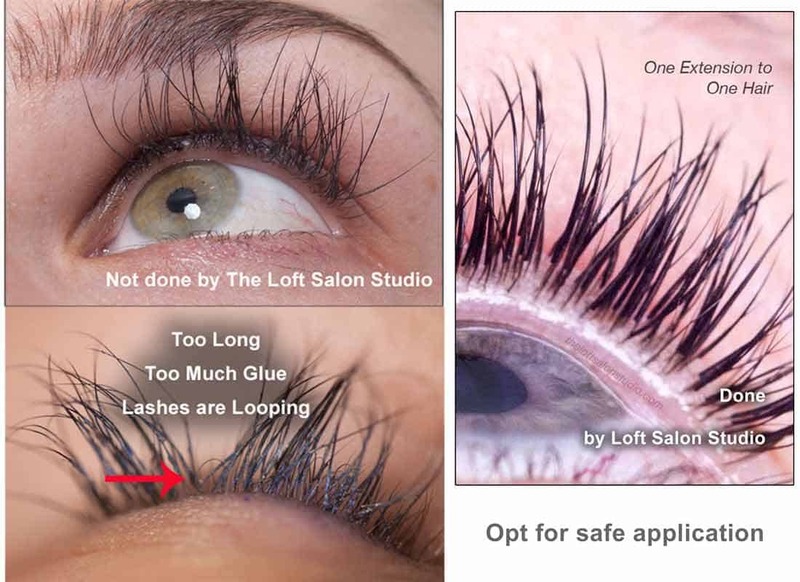 Luxury eyelash extensions have many benefits. First of many, are the fact that you will not need to wear any mascara! Eyelash extensions come in a variety of colors, lengths and thicknesses. Eyelash extensions will require maintenance. The maintenance treatments are known as “lash fills”. With regular maintenance you will experience getting pampered within a “spa-like” experience. The obvious benefit is that you extensions can be maintained indefinitely if you choose, but is the relaxation benefit that you will enjoy the most. It is your special “time out”. If you have every gone for a facial or a soothing massage, then the quiet time is very similar to that. 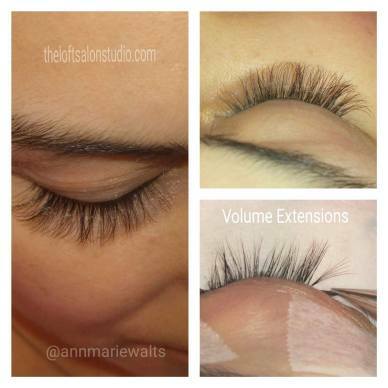 Not all eyelash extension services out there are created equal. If you find yourself a bit confused as to why prices are all over the place, then you are not alone. What we can share with you is this. First and most importantly….do your research. As beauty trends become increasingly popular, you will find that everyone wants to offer the “it service”, and unfortunately, yes, there can be price wars. Do not get us going about Groupon, however, with that said; you have to understand that this very relaxing service is a semi-permanent cosmetic procedure. If you want to save on the price of a slice of pizza or a movie ticket then there is very little to lose, compare taking the chance when you choose the cheapest option. Did you know that there are two distinct type of applications? The most common type of application is called Classic. 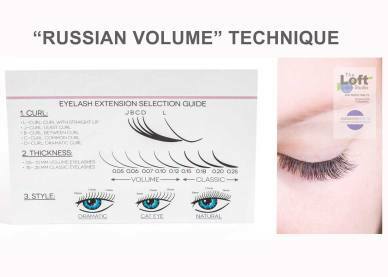 The “classic” technique is the application of one synthetic eyelash extension to one human hair. It is sometimes referred to as a 1:1 ratio. They “typical” full set can average 75 to 90 added extensions per eye. The extensions are individually applied….ONE AT A TIME. As the very close up photograph will show, you can see that the extensions are not touching the skin. You can expect the extensions to shed when your natural hair sheds, because the extensions are adhered to the side of your natural lash hair. If you come across businesses offering lash extensions for as little as $75, then they are more than likely offering “cluster lashes”. 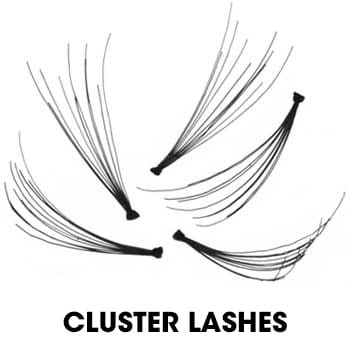 Cluster lashes are not only cheap, but they are very damaging to your eyelash extensions. The weight of the that type of application is too heavy for natural lash hair. They are very bulky and can put strain on your natural lash hair’s follicle. 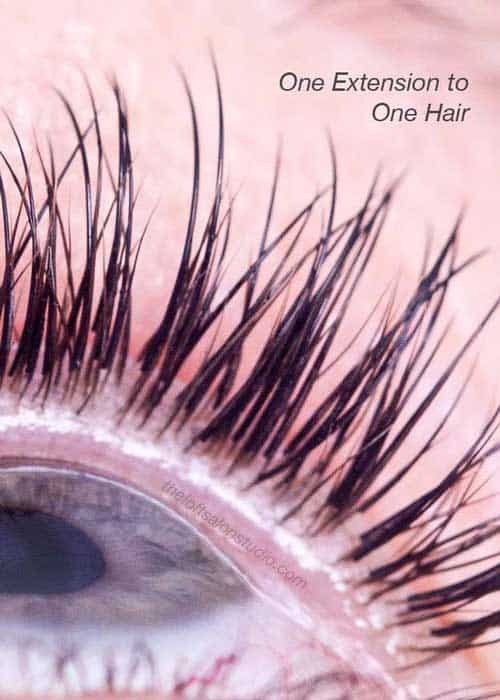 The last thing you want to do is the damage the hair follicle of your natural lashes, because if that gets damaged then your run the risk of your natural lashes not growing back. That is not worth any deal or coupon. The beauty of this advanced technique is that you can really achieve a fuller look. Russian Volume, like clusters, offer multiple extensions to a single application, however the point of differences are many. Your natural lash hair will be analyzed. The luxury Russian Volume fans are handmade with extremely lightweight extensions. You never want your extension to be heavier than your natural lash hair. The hand made fans can vary in the amount of extensions. They can range from 2 to 6 within one fan. So, remember when we said that an average set of extensions can range from 75 to 90 attachments? VaVaVooom!!! The other technically terms you may hear are 2D, 3D, 4D, 5D or 6D. What is referring to are the amount of extensions within the fan. So, can you image the impact you will get if you have 75 attachment sites times a 4D Fan? Wozer! All of the customization and working with an educated lash stylist is what will affect the cost of a full set. Who you choose to do business with is your choice. All professional lash stylists would agree, then you are best to choose wisely. 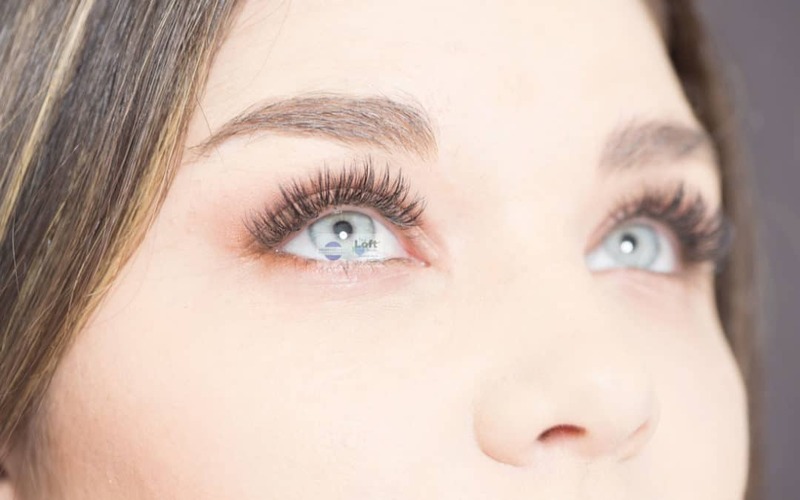 Lash extensions are luxury, and you deserve the best! *If you struggle with gaps, then you will truly benefit from choosing the Advanced Russian Volume. The multiple fans can correct that versus the Classic application.